"... another marvellously atmospheric and deeply involving release ... opens up unexpected musical nuggets and provides context for (Cage's) entire creative world ..."
"... a set of exquisitely turned early miniatures, performed by two artists who recollect the powerful effect of Cage's visit to Russia in 1988 ... shows Cage as a real composer." "Five Stars ... Those who consider John Cage the king of chaos, ruling over a world of disconnected, random events, may be surprised by this wonderful CD ... the recording presents great clarity ... this is a crucial collection." 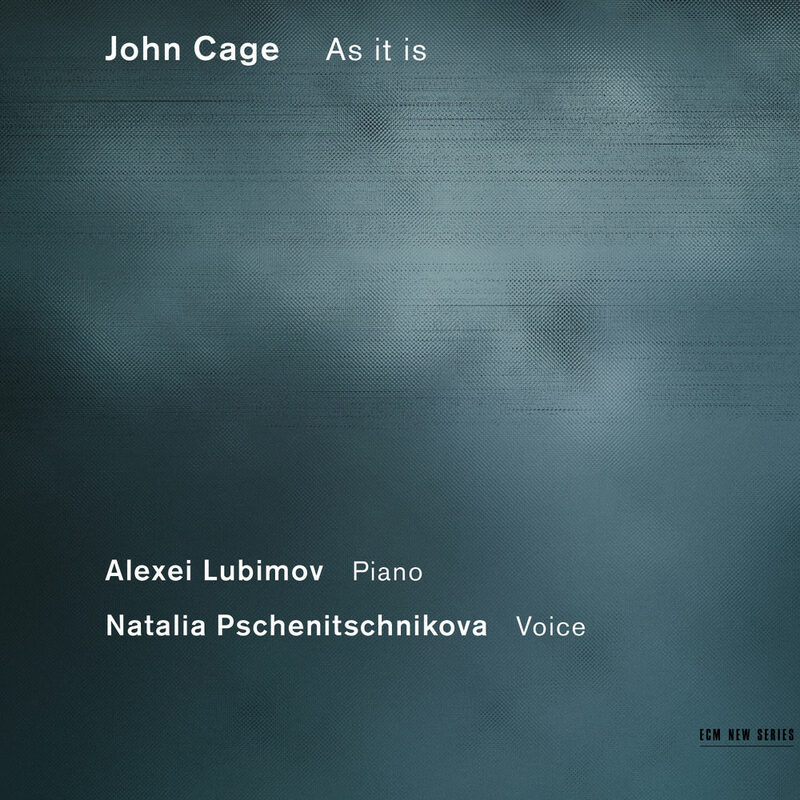 Released in 2012 to celebrate the 100th birthday of John Cage, this is a wonderful and fresh account of the great iconoclast’s music from Moscow-born pianist Alexei Lubimov and vocalist Natalia Pschenitschnikova. Together they convey the playfulness, the serenity and the sense of freedom that animated Cage's music from the outset. The album consists mainly of Cage's early output, going back to the 1940s primarily, but also features settings of poems by Gertrude Stein and e. e. cummings from the 1930s as well as a late entry from 1984, a composition in memory of Cathy Berberian. Several of these pieces showcase prepared piano, Cage’s particular innovation, effectively transforming the grand piano into a makeshift Gamelan orchestra, conjuring gonglike sonorities from its harp of strings by the simple expedient of adding nuts, bolts, screws and pieces of wood and rubber weatherstripping. Publisher: C. F. Peters, Frankfurt a. M.
The text of Alexei Lubimov was translated from Russian by Edmund Griffiths.